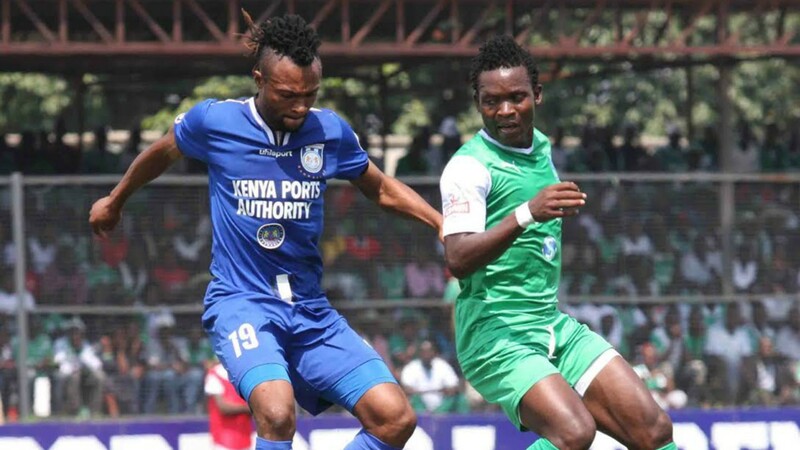 Gor Mahia skipper Harun Shakava is certain that the club will put aside its poor results in the last two games and bounce back with a good result when they play Posta Rangers on Friday. Gor Mahia have played 45 competitive matches this year, which on average is about 15 games more than the 17 other sides competing in the top flight league. There is concern among fans that fatigue is starting to take its toll at a crucial time when Gor Mahia are about to play Rayon Sports and USM Alger in crucial continental matches. However Shakava is not very concerned. As Gor Mahia prepare to face Posta Rangers, their coach Sammy Omollo “Pamzo” thinks his side has gained confidence after Bandari exposed the formula for beating Kogalo. Whatever happens we shall still be crowned 2018 KPL champions by the end of this week. As for coach Dylan Kerr and goalkeeper trainer Willis Ochieng bitter exchange of words to the point of nearly exchanging blows, my advice to Kerr ( just as it was the case with thick head ze Maria ) is please keep off jodala…….they are there for a reason – Assistant coach Zedekiah Otieno, Team Manager Jolawi Obondo and goalkeeper trainer Willis Ochieng’ MUST be respected at whatever price. I have fought for this guys as they are the glue that gels this club’s recent success. On the issue of goalkeepers, yes they are blundering and truth be told, odhoji blunders unlike oluoch’s have severe consequences as they costed us games in the past. One of the solution proposed is to bring in a new keeper who can quickly learn from the aging oluoch and the never learning odhoji. Peter odhiambo can be the solution, but one would seriously doubt his match fitness and offcourse, his mental strength during big matches. He is yet to be fully tested. One name that has constantly be mentioned around the club circles is farouk shikalo , whether he is going to be our target next transfer season remains to be seen. Another player who has personally expressed interest to work with the club is ex keeper Arnold origi, though it will be interesting to see how he fit into the current kogallo structure. So we have solutions, the club just need to be patient enough till end of the season and make those changes without having to resort to embarassing public fist fights. Gors weak link.. Our goalkeeping department. Achana na mambo ya Jodala witchcraft in football is useless otherwise African teams would have laready won World cup .Discipline is the key to success .The Coach must be respected , period . Jackie I knew you would come up with that Jodala madness, soon after news of the unfortunate altercation hit the media. Sir, I beg you to kindly spare K’Ogalo more internal strife, acrimony and agony. However comfortable you may be feeling when you retreat to that Jodala enclave of yours, please just show some mercy this time round. Surely Jackie! Even after I have taken my time to extol your virtues in this wall? Even after using the most exquisite superlatives to make bloggers take you seriously the way I take you? Do you really need to reignite that Jodala talk? Jackie you are certainly not and never have been in that elite class of the few bloggers who have monopoly of intellectual lacuna. You are one great thinker that I know and please just stick to that lane. You shall not be helping K’Ogalo by making utterances that should otherwise come from those with overwheming evidence of intellectual gorge. Mathew 5: 9 reminds us that blessed are the peacemakers for they will be called sons of God. Don’t you want to be a son of God? One fan has sensationally claimed that Gor Mahia made ‘special’ entry’ at Mbaraki Stadium to avoid ‘Juju’. Mkalla Mwambodze avers that Gor Mahia players made their way inside Mbaraki Sports Club on Tuesday after cutting through a fence. This, according to Mwambodze, was a ploy by the league leaders to avoid the traps of the African magic in a match that saw Bandari end K’Ogalo’s 22 match unbeaten run, a win that saw Bernard Mwalal cut Gor Mahia’s lead top of the table to 11 points. “Gor waliamua wakate sehemu ya ua la uwanja wa mbaraki na kuitumia kama kiingilio cha dharura. Kisa na maana ati walikuwa wanaepuka dawa mbaya wanayo hisi walikuwa wametegewa na Bandari Football Club (Gor decided to make their entry through the fence to avoid ‘juju’ that had been put at the entrance by Bandari Football Club.) claimed Mwambodze. “These things do happen especially when the opponents desperately want a positive outcome against us. We have to take cautionary measures to avoid such from happening,” Gor Mahia official told Goal. What I know is that at no time did Gor Mahia cut through any fence. Who told this Mkalla Mwambodze this kind of rubbish? Who did he interview? Gor Mahia used a rear gate that opens from Nyerere avenue. The team bus had dropped them in Nyerere avenue. This was so because they were avoiding the main entrance out of fear that the large group of Gor Mahia fans would create a stampede so as to gain free entrance on the arrival of the Gor Mahia team bus. From the rear entrance they settled under the trees and some players actually entered the pitch for warm up through an opening in the perimeter fence while others went round and entered the field through the official gate normally used by ambulances. @BB, out of RESPECT , i will go very slow and silent on this ‘jodala’ mantra but i will not shy away from advocating for RESPECT at the club. @Jasego, Out of RESPECT, just to inform you RESPECT is a two way street, Both parties MUST RESPECT each other or else we end up with Ze Maria situation where one insist on working with ‘one of their own’. its time for peace and positive energy on this blog. lets be good and kind to one another. Sawa Jakoyo i hear you but Lanes must be observed whereby Willis MUST acknowledge Kerr as his Boss and Head of TB for cohesion and team unity to prevail…When your Boss shouts or scolds you the best thing to do is avoid a confrontation by walking away or simply keep cool and revisit the issue when he is relaxed. I myself have done that numerous times at work even though i was not at fault to say the least…. It is a sad day indeed for this wall that when we are faced with a glaring case of indiscipline and insurbodination in the club , a scenario that can have serious ramification in the harmony and cohesion in the team , that we can go so low as to introduce mediocre suggestions of segregation as a remedy . Football , just like any other team entity thrives on discipline and the moment we encourage such sentiments of as Vs them , then we lose whatever it is that we arw trying to build . must always be used within the realms and boundaries of corporate common sense of hierachical terms of behavior and the chain of command . Willis Ochieng reports and answers to Dylan Kerr and there are no two ways about it , anything short of it is insurbodination . and sundry that our goalkeeping department has been a disaster and the coach just like as has the responsibily to demand that Willis ups his game . Encouraging the kind of Jodala indiscipline is what has made Oluoch behave the way he does , with guarantees of cover from those with sinister motives that are not in tandem with the collective vision of the club and its loyal fraternity , the consequence of Oluoch’s attitude and indiscipline being the performance we witness , another danger being transmitting that behaviour to Odhonji who is already poor as it is . Reading such ill thoughts of Jodala is a waste of three minutes of my life that I will never recover . Lets not reason like Afc fans who go to an extent of going as low as looking at issues through the lenses of their ethnic sub tribes , we are beyond and better than that . On Jolawi Obondo , he should stop reasoning like an ancestor , he is just so much not this century . True… really beats me about this Jakoyo guy, especially when he parots about Rachier. How can a club have officials answering to ‘ luos’. Its a pity that someone can pride himself in spreading lies, hate and propaganda thinking that he is doing the club a favour. The Zico that he praises only plays a judas role in Gor. If the guy was worth his salt he’d be coaching his own club. Willis Ochieng did not play for Gor Mahia and this madness @Jakoyo must be condemned by all Gor Mahia fans. My question, is Jakoyo a real fan of Gor Mahia or an Ingwe impostor? Admin should be deleting such remarks of jodala who have come late to earn from Gor Mahia but never walked with the team. Guys, I did watch Rayon sports play sunrise in a cup match on Azam TV on my smart phone and what I saw was a team that plays with purpose and their coach who is a Brazilian has something to prove.I hope that Kerr will be aware that Rayon sports have a new coach and will want to push the team to qualify for quarter final of car conf.cup. Having said that, we need to bounce back in the next game and use the following matches to prepare for Rayon sports bcos the match against Rayon sports will be a do or die for them.we as k’ogalo was need a draw but they need nothing short of a win to qualify. So they will not come in Nairobi for a draw. In the 70s and 80s , we used to have squads made up of 100% locals who could match and beat the very best , not just locally , but regionally and even the continent , our exploits , just to name a few, being the class of 79 and 87 .
been abondoned and instead we have opted to go without the country to seek for expatriates whose job we can get locally . Going down memory lane , people like Bobby Ogolla while joining Gor Mahia at the age of 18 already had three years of top level premier league football having played for kisumu hotstars , a gor mahia feeder team , from the time he was in form two , the same can be said of Tobias Ochola , Hamisi Gedion , Hamisi Shamba , Anthony Ndolo, all , like Bobby , through Hotstars had 3 to 4 years of top level football prior to joining K’galo , from Kakamega high to MOW to Afc (Abaluhya ), the same happened and just to add the likes of Nashon Oluoch Lule who while still a school boy was already a national team player . This players went on to give years of loyal services to Gor and Afc . My point is and Jose Mourinho has been reminded of this yesterday , that we need to build success rather than buy success , hence he has been denied expensive established old players who have no resale value . Does the club K’galo have a scouting system like they used to have in the past , are they capable of discovering the latent talents that go to waste after form 4 into the liquor dens and boda boda business , is it not cheaper , long term and more sustainable to go for those rather than go outside for expensive talent that is available but untapped locally . Now , those are the frustrations those with the institutional memory of Gor feel , the collective and long term sustainable vision of Gor Mahia has been sacrificed at the altar of rent seeking , commission driven officials , who instead of building on what we already have , have decided that buying success is better than building it . DID YOU KNOW , that 24hrs after Ronaldo appended his signature to Juventus , the club sold Merchandise valued at $60million , Now that is how to run a modern club-as a business , but if we insist of running our club like Fossils , the losers are as-So Sad , isn’t it ? The more reason why I feel Teddy Osok should be back in our midfield next season. He has proved he can hold his own against the best and selling him to Sofapaka would be a big mistake. K’Ogalo are set to host Rwandan champions Rayon Sports on August 19 before traveling to Algiers for their final Group tie. Gor Mahia are in need of Sh8million to honour their remaining two matches in Caf Confederation Cup. K’Ogalo are set to host Rwandan champions Rayon Sports on August 19 in Kenya before traveling to Algiers for their final Group D match against table toppers USM Alger on August 29. Gor Mahia CEO Omondi Aduda has exclusively told Goal that the club will require Sh8m to honour the two matches. “We are appealing to the government to help us complete our group matches in Caf list. We need Sh3m for the home game against Rayon and Sh5.6m for the away match against USM Alger. “Gor Mahia is representing the country and it will be prudent if the government chips in. We are minus Sh8m. We need money to host Rayon Sports and also money to pay for our tickets and accommodation while in Algiers. “We are the ones to book for Rayon Sports the training ground a day before the match, pay for return tickets for the referees, who are coming from Zimbabwe and the match commissioner. Aduda also explained that the club has already exhausted money received from Caf after they qualified for the Group stages. “The money received from Caf is already 50% used and we cannot depend on that to honour our assignments. K’Ogalo are currently top of the Group and will qualify for the quarters if they get a draw against Rayon Sports. Sustaining but have decided that the begging option is the easy way to go . That is why I am normally hesitant to celebrate those momentary victories because it is a situation of spinning on the same spot and illusionary mistaking it for movement . Now we can wait for the phillanthropists to bail as out in the full glare of the media as we yet again cheer and celebrate our humilation. Lastly , it should be noted that in this tournament , we are adressed as kenya’s representives ,but instead of that being appreciated by the likes of a certificateless sports CS and FKF , all we get is a punishing congestion in local fixtures by the Ogudas , Its truly tough to be a kenyan. Hehe very true brother Teddy. Here we are toiling away giving blood, sweat and tears to uplift the Kenyan game continentally but for our efforts we get absolutely Zero Appreciation or support from the Sports Ministry and FkF. One would think they pray for our downfall and quick exit despite raising the country’s sporting profile. Onto begging and kwecho and perrenial secho that our CEO and Nyamgis love so much while we have launched numerous avenues and projects and initiatives that were all meant to gove GM extra sources of income other than sponsorship money. GM Lotto…GM Bread…GM Water…GM Sacco etc etc…Are all this iniyiatives white elephants now or what happened. Aduda CEO have you approached any entity since you assumed that Role for a possible partnership with our brand that is beneficial to both parties like ingwe did with some Gym and Wellness Centre in Nairobi or you don’t know what a CEO position entails financially for a business entity? Guys in Kisumu, please give us the lineup and updates. @ Teddy Please Sometimes Do Pause N Read What You Have Penned Before You Post Them. You Really Contradict Yourself! So Going By Your Example Is Ronaldo An Italian? By Using Him As An Example You Invalidate Your Argument. Foouball Has Moved On N Teams Go For Proven Talent. Wenger Tried What You Advocate At Arsenal N I Wouldnt Want My Kogalo To Go The Same Route. I am happy for Jausenge for his 13th league goal. Final score? Is it 1-2 or 2-2?